With hundreds of parts and fully assembled machines, GovPlanet Europe offers you excellent choice. You can buy and sell Off-Road Trucks from any all manufacturers, including brands such as Cat, Dresser, Komatsu, Payhauler. 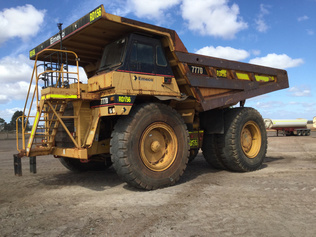 Browse the latest Off-Road Trucks available in our auctions, including Off-Road End Dump Truck: <45t, Off-Road End Dump Truck: ≥45t.